Has anyone else noticed that Rosehip Oil is everywhere? 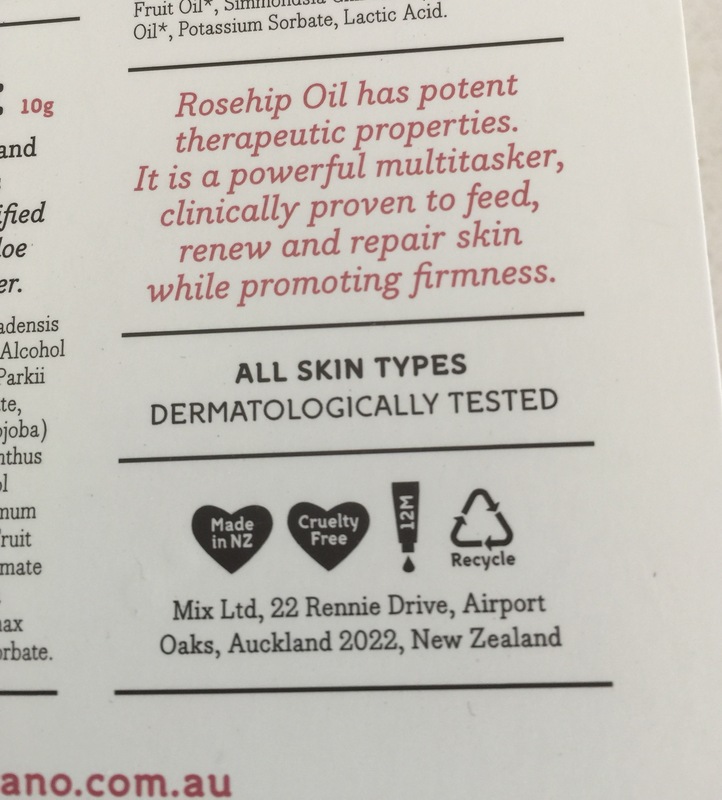 I’m pretty sure that until a couple of months ago I had never even heard of rosehip oil, but now I’m aware of it, it seems that nearly all of the natural skin-care brands I look at seem to include a rosehip oil product. So what exactly is this product that claims will deliver oil-based nirvana to my aging and sun-damaged skin? smoothing wrinkles and the signs of aging. Sounds impressive hey? 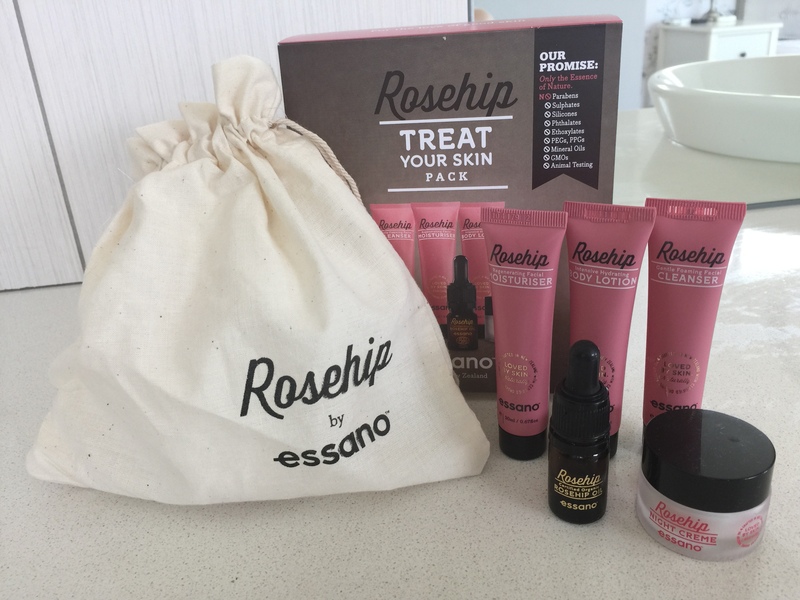 The rose hip products are not cheap however—and I’m always a bit sceptical about ‘big’ skin-based claims—so while I’d thought about giving rosehip oil a go I hadn’t actually purchased anything to trial until I discovered Rosehip by Essano at Woolworths a few weeks ago. The brand passed my usual checks (cruelty free, no nasties etc), and so on my next visit to Woolworths (when they also had a 20% off offer—score!) I decided to buy the Treat Your Skin Pack containing sample sizes of cleanser, moisturiser, body lotion, oil and night cream to see if this miracle oil really delivered on its promises. All of the products have a gentle rose(ish) smell which I have to admit I wasn’t a fan of initially, but it has grown on me and I quite like it now. This cleanser foams lightly, and initially seemed a bit too ‘slippy’ (as in sliding around), but works well and even manages to remove waterproof mascara with only a little elbow grease. Again also initially seemed ‘slippy’, but I have to say absorbs beautifully and leaves my skin soft and feeling lightly hydrated. Lovely, rich and nourishing! Nothing more to say. The hero product of the range is clearly the Rosehip Oil which I started using morning and night, after cleansing and before moisturising. I only need 2-3 drops, and the oil absorbs quickly and evenly. 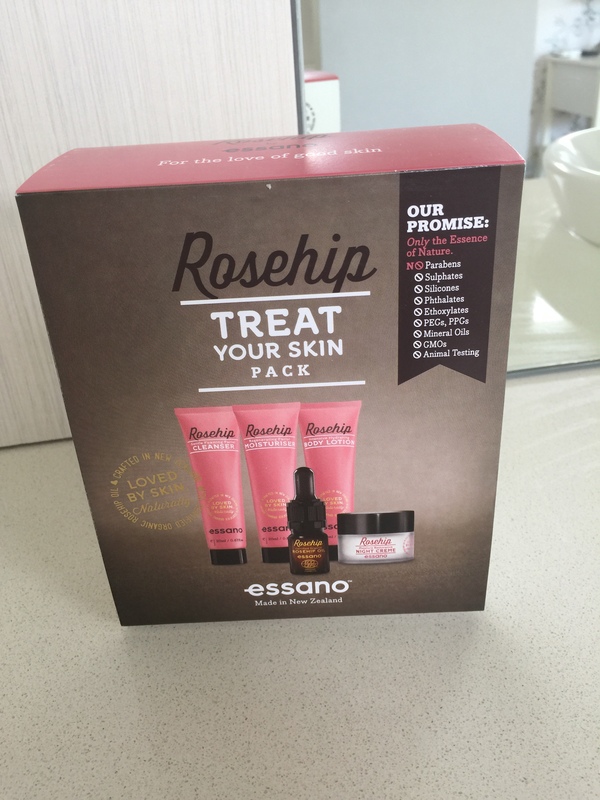 So does rosehip oil deliver on its claims? Well, at this stage I have to say yes, I think it does! After a couple of days of using the products I noticed one morning (when I was putting on my BB cream) that my skin felt very different. The texture was very smooth, and I felt a firmness that hasn’t been there for a while. It’s still early days—so I’m willing to accept that maybe it’s just coincidence—but for now I’ll keep going with the products to see if my skin continues to improve. I’ll update in a couple of weeks if there are any changes. But for now I’d say give them a go! The kit also works well as a travel kit—especially as it includes a small drawstring bag to hold the products. I used to use the Sukin one, then forgot about it. It’s in my cupboard somewhere, must dig it out. Meanwhile, you need to do a story on BB creams. The Garnier one is currently flogged by every blogger I follow – they must be very convincing ($$….)! I use that one too and would like to switch to a cruelty free brand. That smells nice. Have only tried a few that stink so far! I’m currently using the Natio BB Cream, which I Like (but I’ve never used the Garnier one so can’t compare it to that), but I want to try the Lavera version next. Keen to try something more natural and with organic ingredients. Will put up a post once I do!